On July 9, 2016, I observed a rally in Paris at which Prince Turki of Saudi Arabia, former ambassador to the U.S. and intelligence chief but no longer in any official position, addressed Maryam Rajavi, President-Elect of the National Council of Resistance of Iran (NCRI). The Turki option — regime change in Iran — turned up the heat on Tehran. When the crowd chanted, “The people want regime change,” the Prince joined the crowd in Arabic saying, “I, too, want regime change” in Iran, a remark that brought the house down. With some Arabs leading the call, various dissidents like the Mujahideen-e-Khalq (MEK) core of the NCRI are accelerating their calls for regime change in Iran. The Arab conflict with Iran has been mainly sectarian, but Turki sought to move the conflict to a strategic level with a greater focus on removing the “revolutionary” nature of Iran’s regime. With some support for the NCRI in the U.S. Congress, European national parliaments, and the European Parliament, it is time for the West to join this effort. Georgetown University students and colleagues in the Iran Policy Committee conducted a study to assess the image of the NCRI and other Iranian dissident groups, including organizations not espousing regime change. Using the Islamic Republic News Agency (IRNA) for the period from January-December 2005, we performed a content analysis and determined the NCRI/MEK was the topic of discussion almost four time as often as all other dissident organizations combined. We updated the 2005 study by using the large number of attacks by the IRGC or Iranian proxies against the NCRI. Again, the NCRI family of entities were targeted more than other rebellious minorities in Iran. In addition, the Iranian regime regularly sets up expositions throughout the country to convince Iranians to refrain from paying any attention to the NCRI. If the regime were not so leery of the NCRI, they would hardly pay so much attention to it. Furthermore, Iran would not spend its political capital with foreign governments asking them to suppress the group or seek the destruction of Camp Ashraf/Liberty in Iraq, where MEK dissidents were confined in exile at Liberty until September 9, 2016. The 2009 uprising showed that millions in Iran wanted regime change, a goal espoused by the NCRI, whose members paid a disproportionate price for participation. Some Arab governments are now lining up with Iranian dissidents because they perceive the revolutionary enemy regime at their doorstep. As the Prince attempts to redraw the arc of history, this is the time for the West to join the coalition that could shape the future. Professor Raymond Tanter served on the U.S. National Security Council and as Personal Representative of the Secretary of Defense to arms control talks in the Reagan-Bush White House. As a scholar studying Iranian opposition groups, I am posting this information for the general public. Click to see the online conference on Wednesday, December 2, 2015, Alireza Jafarzadeh, Deputy Director of the U.S. Representative Office of the National Council of Resistance of Iran, revealed the composition and modus operandi of the secret committee that was set up in Tehran to deceive the IAEA on its probe of the possible military dimensions (PMD) of the Iranian regime’s nuclear program. The revelation was based on reports from various entities and institutions within the clerical regime. In the conference, specific cases of Tehran’s measures to conceal nature of its nuclear project was examined and exposed. For the text of the presentation, click here. The final disposition of the true nature of Tehran’s nuclear program was one of the major points of dispute between world community and the Iranian regime. Following the nuclear agreement in July 2015, Tehran pledged again that it would fully answer the IAEA long-standing questions on the nature of the Iranian regime’s nuclear program. The IAEA report on its findings about PMD was released in December 2015. Despite obfuscation and stonewalling by Iran, the IAEA confirmed that Iran had a coordinated nuclear weapons development program until the end of 2003 and conducted some weapons development activities after 2003. 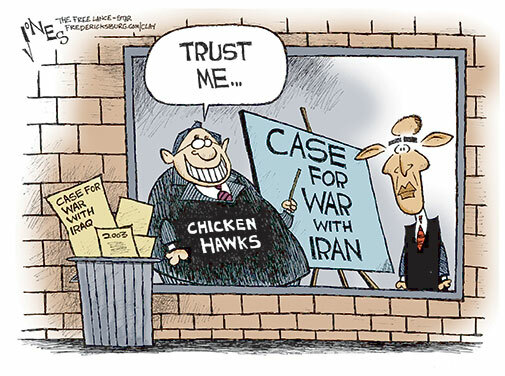 Overall, Iran provided little real cooperation. Denials and lack of truthfulness should not be confused with cooperation in the context of the JCPOA, any more than such “cooperation” by a defendant in a criminal investigation would be construed as real cooperation. Faced with such outright Iranian efforts to deceive the inspectors, the IAEA broke relatively little new ground. The truth of Iran’s work on nuclear weapons is probably far more extensive than outlined by the IAEA in this report. The IAEA drew conclusions where it was able to. The bottom line is that the IAEA’s investigation into the possible military dimensions of Iran’s nuclear programs cannot be understood to be concluded, certainly it cannot be closed. Click here to see the IAEA report. Note: The author has not received any compensation whatsoever from the MeK or related groups. There is an escalating war for influence over U.S. policy toward Iran: It is a dispute among university scholars, think-tank analysts and former American officials. Reverberations of this war are not confined to the Washington beltway but have profound significance for the Middle East. As Arab republics like Egypt and Tunisia fall from popular protests, internally inspired regime-change scenarios abound. While largely peaceful protests brought down regimes in Cairo and Tunis, state suppression resulted in violent pushback in Libya, Syria and Yemen. Just as conflicts over succession occur among the Arab republics, so a succession crisis is likely to arise in the Islamic Republic of Iran. We should use the lens of such a conflict in Iran when viewing the war in Washington about an Iranian dissident organization—the Mujahedeen-e-Khalq (MeK). Saddam Hussein’s takedown by foreign militaries highlights the need for a homegrown antidote to Iranian rulers because external regime change is off the table in the aftermath of the Iraq War. Secretary of state Hillary Rodham Clinton is poised to announce the MeK designation in fall 2011, a decision long overdue. Nothing is likely to be more decisive in reducing the strategic threat from Tehran than having a vigorous democratic opposition in Iran; it is critical to have a coalition of prodemocracy dissidents working together to weaken the regime from within and replace it; the MeK can play an enhanced role in the prodemocracy movement if it is removed from the State Department terrorist list. But above and beyond the potential international benefit of facilitating internal regime change for Iran, the MeK simply deserves to be delisted on the basis of facts and law alone. A search of U.S. government and private electronic and media sources by scholars in the Iran Policy Committee reveals an absence of evidence to support the inference that the MeK engages in terrorist activities or terrorism or has the capability and intent to do so. The databases are: the U.S. Worldwide Incident Tracking System, which the National Counterterrorism Center no longer publishes; Department of Homeland Security-sponsored Global Terrorism Database; and U.S. government-supported RAND Database of Worldwide Terrorism Incidents. In these major databases, there are no confirmed associations of the MeK with any military action after 2001. Given the absence of unclassified evidence of MeK involvement in terrorist activities during the course of nine years (2001-2010), any countervailing evidence in the classified record should be viewed with skepticism and subject to scrutiny for credibility. An assumption here is that terrorist incidents are too public not to appear in databases or in newspapers of record. On 4 December 2008, the Court of First Instance of the European Communities issued a judgment annulling the MeK designation, and the European Union cleared the MeK of terrorist conduct in January 2009. The United Kingdom removed the group from its list of proscribed organizations in June 2008. In addition, the French judiciary dismissed all terrorism and terrorism-financing charges against the group in May 2011. Two issues before the American court have been whether the State Department provided due process of law to the MeK and credibility of evidence in support of allegations against it. In a July 2010 ruling regarding a MeK appeal of its continued designation in January 2009, the U.S. Court of Appeals for the DC circuit faulted the decisionmaking process of the secretary of state. The court questioned the credibility, sources and legal relevance of evidence in the Secretary’s January 2009 decision to maintain the designation and ordered the State Department to give the MeK an occasion to rebut some of the declassified material used in the re-designation. On 20 May 2011, the department released ten documents. Five were unclassified, mostly wire service reports from the Associated Press, Radio Farda and Azeri Press Agency. They concern allegations, such as MeK’s “cult-like” behavior and supposed lack of popular support within Iran. Such false, nonlegal allegations are no grounds on which to base a terrorist tag. For the MeK to be re-designated absent any terrorist activity or terrorism, the State Department has to demonstrate that the group has both the capability and the intent to engage in terrorist activity or terrorism and that it either threatens U.S. national security or the security of American citizens. In the Department of State Country Reports on Terrorism (CRT) 2007, 2008, 2009, 2010, and 2011, a CRT 2006 accusation that the MeK “maintain[s] the capacity and will to commit terrorist acts” does not recur. And there are no terrorist activities or terrorist events cited during the legally relevant period of two years prior to the last re-designation decision of January 2009. In fact, no such actions are alleged in Country Reports since 2001. In view of the convergence of historical circumstances and the law in favor of delisting, consider the political origins of the MeK designation. The roots are in the Iran-Contra affair of the mid-1980s: In exchange for release of American hostages held in Lebanon by one of Tehran’s proxies, Hezbollah, the State Department alleged without evidence that MeK members used terrorism and violence as “standard instruments of their politics.” Thus began the use of that designation primarily as a tool to achieve foreign-policy aims rather than antiterrorism goals. Martin Indyk, who served as assistant secretary of state for Near Eastern affairs in 1997, said one of the reasons the MeK was put on the terrorism list was part of a “two-pronged” diplomatic strategy. It included increasing pressure on Saddam Hussein by linking him to a “terrorist group,” the MeK. The other “prong” was the Clinton administration’s interest in opening a dialogue with Tehran. On 8 June 1997, Mohammad Khatami was elected president of Iran, and the administration viewed him as a moderate. 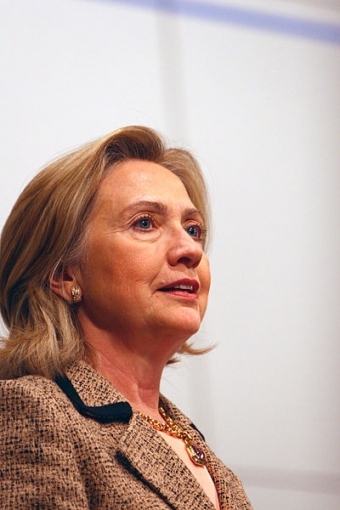 Clinton officials saw cracking down on the MeK as a way to strengthen Khatami at the expense of so-called hardliners. But this political use of the terrorist designation failed; Tehran pocketed the concession without reciprocity. Because law and facts converge for removing the designation of the MeK, those who oppose delisting fall back on political grounds buttressed by vague factual allegations for a continuation of the terrorist tag. There is an unfounded claim that the MeK is unpopular within Iran because of “numerous terrorist attacks against innocent Iranian civilians.” Then there is an invalid policy conclusion: “Removing the MeK from the Foreign Terrorist Organization [sic] list and misconstruing its lack of democratic bona fides and support inside Iran will have harmful consequences on the legitimate, indigenous Iranian opposition.” The allegation of MeK unpopularity is false. Support within the expatriate Iranian community suggests popularity in Iran; no other dissident organization can mobilize similar numbers of expat supporters. Some who believe delisting would limit Washington’s ability to reach out to the Iranian street are wrong; the disproportionate number of protestors arrested and hanged because of association with the MeK indicates the organization’s significant presence on the Iranian street. Those who oppose delisting the MeK and hold a dim view of the effectiveness of Iranian dissidents to bring about regime change weaken their opposition to removal of the tag on the MeK. An argument in support of delisting on foreign-policy grounds is that it would reinforce the democratic opposition in Iran. In most of the arguments opposed to delisting the MEK, no statutory fact is presented. So opponents of removing the terrorist tag resort to irrelevant non-legal arguments to overshadow lack of evidence of its engagement in terrorist activities or terrorism. In effect, those in favor of maintaining the MeK listing want Secretary Clinton to disregard the facts and the law entirely. With a simple signature delisting the group, Secretary Clinton would not only bring her Department in line with law and facts; she also would help empower the Iranian people to change the regime and open a political option between failed engagement and ineffective sanctions, on one hand, and problematic military action on the other. Raymond Tanter served on the senior staff of the National Security Council and as personal representative of the Secretary of Defense to arms control talks in Europe in the Reagan-Bush administration. He is currently an adjunct professor at Georgetown University and a professor emeritus at the University of Michigan. WASHINGTON, Aug. 7, 2012 /PRNewswire-USNewswire/ — In the course of research on Iranian dissidents, the Iran Policy Committee (IPC) reviewed letters sent by a Senator and Members of the House of Representatives to the Secretary of State on the status of Iranian dissidents in Iraq. IPC also participated in a briefing by Members of the House. IPC research is consistent with views expressed in these letters and at the briefing. In a June 12, 2012 letter, Senator Carl Levin (D-MI), Chairman of the Senate Armed Services Committee, wrote Secretary of State Hillary Rodham Clinton to express his dismay over the lack of action by the Department of State to reach a decision on the status of a revocation petition filed by the main Iranian opposition group that rejects clerical rule, the Mujahedeen-e-Khalq. Senator Levin wrote: “I have requested repeatedly that the Department of State proceed expeditiously to make a determination regarding the designation of the Mujahedeen-e Khalq (MEK) as a foreign terrorist organization…” The Senator is the latest among U.S. lawmakers to criticize the delay by the Department on the status of the MEK. The Senator also questioned the process that the State Department pursues to determine the status of the petition by the MEK. A letter of August 2, 2012 from Members of the House spearheaded by Representative Ileana Ros-Lehtinen (R-FL), chair of the House Foreign Affairs Committee and Representative Brad Sherman (D-CA), ranking Member of the Subcommittee on Terrorism, Nonproliferation and Trade stated, “We respectfully request that the Department of State seek the Iraqi government’s agreement to and implementation of a number of humanitarian measures. 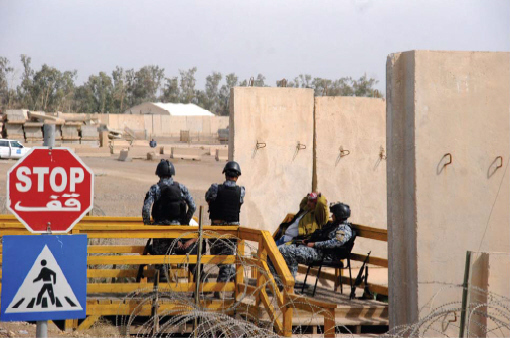 Until these measures are implemented, further voluntary relocation of Camp Ashraf residents would only exacerbate the current dreadful living conditions in Camp Liberty.” A bipartisan group of 79 Members of Congress signed the letter. During a briefing by Members of the House on Capitol Hill in Washington on August 1, 2012, Representative Sheila Jackson-Lee (D-TX), a senior member of Committee on Homeland Security blamed Baghdad for “lack of clean water” at Camp Liberty. Also at the briefing, Representative Dana Rohrabacher (R-CA), chairman of the House Foreign Affairs Subcommittee on Oversight and Investigations, called for removal of the Mujahedeen-e-Khalq (MEK), a group to which the Iranian dissidents belong, from the U.S. terrorist list to facilitate their speedy resettlement outside of Iraq, without relocation from Ashraf to Liberty. Through independent research, the IPC determines that residents of Liberty are only seeking minimum humanitarian improvements in their quality of life. These include ensuring satisfactory access to clean water via measures to connect Liberty to the Baghdad water network and transfer of water purification equipment from Ashraf to Liberty or acquisition elsewhere of such items; improved electrical equipment to operate air conditioners, potentially through transfer of large generators from Ashraf to Liberty; authority to construct adequate ramps and related safety infrastructure for residents of Liberty, including those who are suffering from disabilities; and transfer of forklifts from Ashraf to Liberty to facilitate handling of heavy items. Washington should not discourage Jerusalem from attacking Iran unless the consideration that “all options are on the table” also includes internal regime change. In President Obama’s 2012 address to the American Israel Public Affairs Committee, diplomatic, economic, and military options do not include regime change from within. Earlier, a newspaper quoted a senior American intelligence official saying regime change was a goal of U.S. sanctions against Iran; but the administration pushed back, resulting in a revised story claiming only “public ire” rather than “regime change” as a purpose of new sanctions. So long as the Iranian regime’s survival is not at stake, it is unlikely to abandon its quest for the bomb. There is a misconception that internal regime change will not produce results before Iran’s nuclear facilities are invulnerable to attack. But that view overlooks how fast regimes without popular legitimacy crumble if the people receive even minimum support from the international community. Because of mixed signals coming from the Obama administration about red lines that would prompt American military action, Washington lacks a credible threat to use military force. The White House and the Defense Department describe the U.S. goal as preventing Iran from “acquiring nuclear weapons,” but the State Department says the purpose is to stop Iran from having “nuclear weapons capability.” Such differences are mixed messages that detract from the credibility of the “all options are on the table” threat to use military force. If the Obama administration removed the unwarranted and unwise terrorist tag from the main Iranian organization rejecting clerical rule—the People’s Mojahedin Organization of Iran—this group could enhance its place in Iran as leaders of internal regime change. 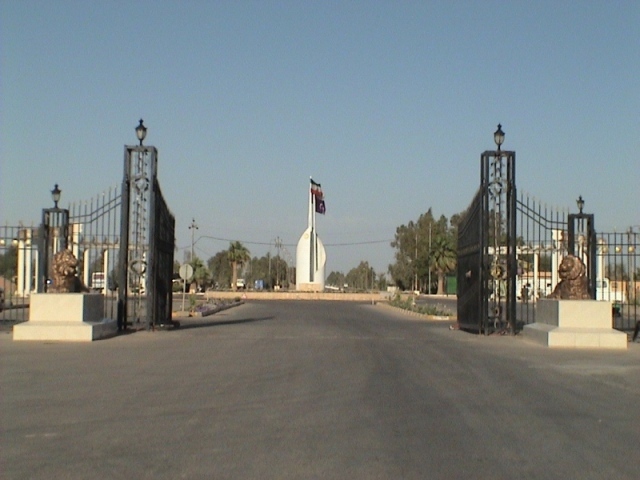 The People’s Mujahedin of Iran, an Iranian exile group that seeks to overthrow the current regime, is under siege in Camp Ashraf, Iraq by Baghdad under the sway of Tehran and because of an Iraqi ruse that “terrorists” deserve mistreatment; consequently, these Iranian dissidents are hamstrung from helping lead the pro-democracy forces in Iran. Because the PMOI was a core part of the coalition that brought down the Shah of Iran in 1979, it has skills to topple the present clerical regime. Crippling economic sanctions, credible threat of military action, and a policy of internal regime change can prevent Iran from actually developing a nuclear weapon or having a nuclear weapons capability; operating together, they can make actual military action unnecessary by either Jerusalem or Washington.